Claus Porto Rivale Grapefruit Fig Soaps, Candles and Body Products. Claus Porto Rivale Grapefruit Fig is comprised mainly of the revitalising and aromatic essence of grapefruit essential oil. This bitter and invigorating aroma is seamlessly blended with the wooden and herbal sweetness of ripe figs, creating an intense, balanced and captivating bouquet. 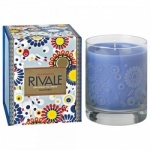 Claus Porto Rivale Grapefruit Fig Candle is a beautiful candle that contains a rich aroma that lasts for hours and is also a unique style statement in your home. 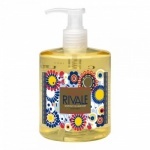 Claus Porto Rivale Grapefruit Fig Liquid Soap is a rich cleansing soap that delivers a smooth and soft skin. laus Porto Guest Soaps have been produced with the finest ingredients and are enriched with 2% shea butter to give protective and hydrating proprieties. 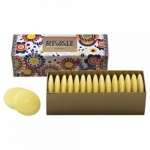 Claus Porto Rivale Grapefruit Fig Soap is a treat for the skin and senses. An intense fragrance with a mysterious touch of the exotic.